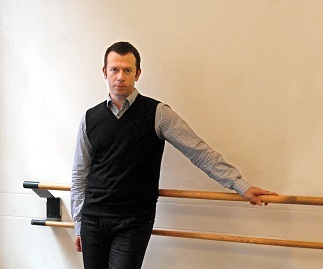 These days, former Bolshoi Ballet Artistic Director Alexei Ratmansky is in high demand for his choreographic skills in the ballet world. Since being named American Ballet Theater’s Artist in Residence in 2009, he has traveled the world, choreographing for some of the industry’s best dance companies. His next big undertaking brings him back to New York City, where he will create his fifth ballet for ABT – his own adaptation of Igor Stravinsky’s The Firebird. This is not Ratmansky’s first time mounting the one-act story ballet. Previously, he choreographed a production of The Firebird for the Royal Swedish Ballet in 2002. His version for ABT will showcase the work of two other Russian artists: Simon Pastukh’s scenery and costumes by Galina Solovyeva. The trio also worked together on Ratmansky’s 2009 ballet On the Dnieper. The new production will receive its world premiere from March 29 – April 1, 2012 at the Segerstrom Center for the Arts in Costa Mesa, CA, coinciding with the center’s 25th anniversary. Shortly after the five performances in Costa Mesa, the ballet will stage its Manhattan premiere at the Metropolitan Opera House during ABT’s spring season. ABT’s Artistic Director Kevin McKenzie feels Ratmansky and his Russian design team possess the heritage and talent to recreate a ballet of such historic significance. “Alexei’s background in Russian music, culture and symbolism combined with his incredible facility for story-telling, will surely have an important impact on how he brings this enchanting tale to life,” he says. The Firebird depicts the Russian fairytale of Prince Ivan and his quest to conquer evil and win the love of his princess. Ivan becomes lost in the forest of the evil Kostchei. As he struggles to gain his bearings, he encounters an enchanted Firebird. The Firebird’s likeness to both woman and bird hypnotizes the prince. He captures her, and she offers one of her magical feathers in return for her release. After his encounter with the Firebird, he finds himself at Kostchei’s castle, where twelve maidens greet him. He meets Tsarevna and falls in love. Kostchei appears and casts a spell to turn Prince Ivan into stone. In defense, Ivan waves the magical feather, bringing forth the Firebird herself. Together, the prince and Firebird defeat the evil Kostchei, allowing Ivan and Tsarevna to wed; thus, receiving their happy ending. Michael Fokine choreographed the first production of The Firebird on Sergei Diaghilev’s Ballets Russes at Paris’s Theatre National de l’Opera on June 25, 1910. Over a century later, ABT plans to present Ratmansky’s interpretation, which is the fourth time for Ballet Theater to revive the ballet. The first time ABT premiered Stravinsky’s The Firebird was in 1945 at the Metropolitan Opera House, with choreography by Adolph Bolm and sets and costumes by Marc Chagall. Christopher Newton restaged Fokine’s choreography for the second ABT production of The Firebird in 1977 at the Dorothy Chandler Pavilion in Los Angeles, CA. And, they revived Fokine’s choreography again in 1992. Nicholas Beriozoff produced this third rendition for ABT, which premiered in Mexico City at the Palacio de Bellas Artes. Ratmansky’s version will star three of ABT’s remarkable ballerinas as the illusive creature: Misty Copeland, Isabella Boylston, and Natalia Osipova. Both Boylston and Copeland are soloists with ABT, and Osipova is a principal dancer with the Bolshoi Ballet and a guest artist with ABT. Ratmansky’s previous ballets for ABT, including The Nutcracker, The Bright Stream, and Dumbarton, received great responses form both critics and patrons. With a team of skilled collaborators and ABT’s roster of excellent dancers, Ratmansky’s new The Firebird possesses the potential to make its own mark in ballet history.